Virtual currencies and their underlying blockchain technology are revolutionizing the way cross-border payments are made. These digital assets are becoming a cultural phenomenon which may overshadow the purpose of why they were created. Their rise in popularity has inflated their prices significantly, catching the attention of many high-profile critics, such as Warren Buffet and Jamie Dimon, who historically made their fortunes in traditional investments. The Securities and Exchange Commission (“SEC”) and the Commodity Futures Trading Commission (“CFTC”) have both claimed ability to regulate this space, with the SEC deeming virtual currencies to be securities by reason that they are investment contracts and the CFTC looking to classify them as commodities. As such, this Article argues each virtual currency should be examined on a case-by-case basis by a separate, congressionally-mandated entity to either determine which category it belongs to or perhaps even for the enitity to regulate virtual currencies itself as a separate asset class. A need for such an entity is clear when looking at, for example, Ripple Labs’s (“Ripple”) XRP, a currency designed to work with the existing banking system. Ripple was sued over whether XRP is a security requiring registration with the SEC. Ripple maintains that XRP is a currency, not a security, because a retail purchaser of the currency “does not own rights to the profits or any dividends of the company.” Ripple contends all XRP virtual currency have been pre-mined and designed for use by banks as bridge assets and can exist without the company. In light of such lawsuits, Congress should create a separate entity that would classify each virtual currency as a security or commodity and determine which commission, the SEC or CFTC, has oversight. Part II will review the background of virtual currencies and the attached criminal and fiscal risks. Part III will discuss the appropriateness of the CFTC’s authority in the regulation of cryptocurrency futures, whether cryptocurrencies are commodities, and SEC oversight over initial coin offerings. Part IV examines the current proposed regulation, which addresses the meaning of the phrase “actual delivery” within the context of retail commodity transactions in virtual currency. Part IV suggests that Congress provide a statute that regards purchases of virtual currency conducted on virtual exchanges to be considered “constructively delivered” into the purchaser’s virtual currency wallet. Part V concludes regulation of virtual currencies should be decided on a case-by-case basis as to whether they are securities or commodities with related futures contracts. Due to the complexity of what constitutes virtual currency, this Article suggests a separate division within the United States Department of the Treasury that either regulates the virtual currency space totally or can determine what entity has oversight over the currency—the SEC, CFTC, or the Federal Reserve. The phenomenon of decentralized virtual currencies is mystifying to national governments and individual investors. 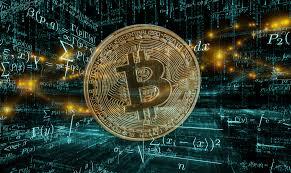 Satoshi Nakamoto first proposed the idea of a virtual currency transfer system in a paper entitled “Bitcoin – A Peer to Peer Electronic Cash System.” In 2009, the first Bitcoins were mined, and in 2010, Bitcoins were valued for the first time. Because Bitcoin is decentralized, criminals have benefitted from using it to escape detection by authorities. As a result, the Federal Bureau of Investigation (“FBI”) has heightened its monitoring of potential use of Bitcoin for terrorist financing or evasion of sanctions by foreign countries. Theft of virtual currencies is also a concern. In January 2014, the world’s largest exchange, Mt. Gox, went offline and approximately 850,000 Bitcoins worth over $4.4 billion, by today’s valuation, vanished. Governments also have an interest in regulating this space to protect investors. The continuing rise in initial coin offerings prompted SEC Chairman Jay Clayton to issue a statement warning against the dangers associated with unregistered coin offerings. In addition to investors’ ability to buy and sell the actual virtual coin, the underlying blockchain technology is used by banks to process payments faster. Yet, experts agree virtual currency is here to stay, and therefore, regulatory authorities, such as the SEC and the CFTC, necessarily need to expand control to ensure integrity and confidence in the marketplace. Bitcoin, a virtual currency, is a commodity unlike any the commission has dealt with in the past. . . . We expect that the futures exchanges, through information sharing agreements, will be monitoring the trading activity on the relevant cash platforms for potential impacts on the futures contracts’ price discovery process, including potential market manipulation and market dislocations due to flash rallies and crashes and trading outages. The CFTC regulates futures contracts, and when a contract settles, the buyer receives either the commodity or cash. Bitcoin futures will settle in cash, which means an investor can speculate on the price of Bitcoin without having to actually acquire the commodity. The Chicago Mercantile Exchange, one of the world’s largest exchanges, set out criteria for how Bitcoin futures will work, including but not limited to how: each contract will be composed of five Bitcoin with a tick (the minimum fluctuation) of $5.00 per coin, meaning that every time the contract moves by the smallest increment a trader will gain or lose $25.00 per contract they hold; there is a spot limit of 1,000 contracts; there is a price limit of twenty percent above or below the prior settlement price; and, the price settlement will be based on the Bitcoin Reference Rate. As to the underlying currency, since 2015, the CFTC deemed virtual currencies to be “commodities” subject to CFTC regulation. Moreover, the CFTC has oversight authority with respect to retail commodity transactions, except those instances where “actual delivery” has occurred within twenty-eight days. CFTC Commissioner Brian Quintenz stated, “‘Participants in this market want a credible marketplace.” In CFTC v. McDonnell, Judge Weinstein ruled that until Congress acts, the CFTC can regulate virtual currencies as a commodity: “Virtual currencies are ‘goods’ exchanged in a market for a uniform quality and value. . . . They fall well within the common definition of ‘commodity.’” This Article does not argue for more regulation for the sake of regulation or for an increase in bureaucracy, but instead suggests in order to keep compliance costs down and reduce red tape, Congress needs to formally create a body that will have original jurisdiction over virtual currencies under the Treasury Department that can decide what other agency, be it the SEC or CFTC, has oversight. The new entity would take applications from virtual currency creators, determine what the virtual currency is and its function, and which agency should have control. Having a new entity overseeing this space would rein-in costly litigation resulting from objections by various constituencies as to whether the CFTC or the SEC inappropriately asserted control over the virtual currency or its originators. For example, XRP is designed to be used with Ripple’s platforms to transfer money across the world within seconds. If the CFTC attempted to regulate XRP, the company in litigation could argue XRP does not fall within the purview of the CFTC because it is not a commodity but rather a currency that banks have adopted as a bridge asset. A new entity could decide in which category XRP belongs alleviating the need to go to court. In S.E.C. v. W.J. Howey Co., the Supreme Court held land sales contracts for citrus groves in Florida were “investment contracts” and therefore securities. The Court provided a test to determine what constitutes an investment contract: “The test is whether the scheme involves an investment of money in a common enterprise with profits to come solely from the efforts of others.” In the virtual currency space, miners act like auditors using computer hardware to “verify transactions” on the blockchain; their main function is to prevent fraud by ensuring owners have not tried to spend the same virtual currency twice. That is done by the Bitcoin algorithm, which produces a new coin every ten minutes. The “efforts of others” then comes from mining Bitcoin, which like other altcoins (or virtual currency other than Bitcoin) can exist without a company; yet arguably the test fails because there is “no common enterprise” in which to invest. Issues like this may make it problematic for the SEC’s oversight authority over the underlying currency without effecting any changes to the current statutory definitions. As another example, in a response to a recent lawsuit over whether Ripple should have registered XRP virtual currency with the SEC, Ripple argues its coin is not a security but a currency. The company claims XRP improves the speed and transparency of global payments, and there is speculation central banks may adopt Ripple’s technology for cross border payments. Thus, a separate entity created through federal statute that categorizes the currencies ab initio would save time in litigation costs and also clear up any public uncertainty as to how and who will regulate a particular currency. Without a separate regulatory authority, the table is set for extended litigation over whether the virtual currency is a commodity, a security, or something else. The twenty-eight-day rule as it is written under the Commodity Exchange Act will undermine the CFTC’s fraud oversight authority for many retail virtual currency commodity transactions. As a solution, Congress can leave in place the twenty-eight-day rule as applied to other retail transactions but needs to change it to include the concept of “constructive delivery” when dealing exclusively with virtual currency commodity purchases and sales. “Delivery” is “[t]he formal act of transferring something”; it denotes a transfer of possession and control. “Actual delivery” denotes “[t]he act of giving real and immediate possession to the buyer or the buyer’s agent.” “Actual” is that which “exist[s] in fact” and is “real,” rather than constructive. When virtual currency trades on an exchange the coins are immediately placed into the account holder’s wallet. Actual delivery of virtual currency does not happen because the coin is not immediately available to purchase goods or services and still remains largely under the control of the exchange. Like a futures contract, the digital currency or underlying asset is not immediately available to the buyer to “purchase goods or services with the currency elsewhere.” Some pioneer retailers, such as Overstock.com, accept Bitcoin as payment. Many retailers, however, still require customers to buy a gift card from a third party using virtual currency and then shop using the gift card, which makes the immediacy of the purchase further attenuated. Further indication that there is no absolute retail customer possession over their coins is that digital currency exchanges continue to exert a degree of control over customers’ accounts, including: (1) restricting access to buy or sell virtual currencies on a customer’s account; (2) possible closure of a customer’s account; and, (3) “block[ing] or freez[ing] customer funds . . . [where] required by a court or other authority to compel such restrictions or required by law to freeze or block assets in compliance with a sanctions program, including, but not limited to, sanctions programs administered by the U.S. Office of Foreign Assets Control.” These limitations bring into question “[a customer’s] possession and control of the entire quantity of the commodity” as contemplated by the CFTC. In Hunter Wise, defendant brokerage firm bought and sold precious metals and in turn through a network of dealers, sold to retail customers without actually transferring the commodity. The CFTC brought an action claiming those futures transactions were conducted through a fraudulent scheme “off-exchange.” Defendant did not store any of the metals for customers but permitted trading of derivatives through its margin accounts. Defendant “offered market access, financing, and a technology platform for retail precious metals dealers.” It “engaged” those dealers through three other entities, called the Lloyds entities. Retail customers for the commodity transactions were solicited through dealer/telemarketers that worked for the Lloyds entities. The dealers would phone potential customers or use the internet to push investments in metals as “safe.” Customers would put down a initial twenty percent and then finance the balance of the purchase price. They could trade based on price movements, but those movements could negatively affect their accounts in addition to charged fees and interest. None of the transactions occurred on an exchange. Defendant facilitated all the transactions, including pricing and managing, and assisted in the marketing of the transactions. Defendant also generated account reports, which looked like they were made by the dealers. “Funds passed from the customer to the dealer to Lloyds and finally to defendant with the dealers and Lloyds each taking a cut along the way.” Metals were only delivered to defendant for transfer to customers if defendant paid in full; however, since the majority of these transactions occurred through margin trades, no titles passed. Further, customers could view their transactions and other information via the internet “Portal,” including a “Transfer of Commodity Notice,” which detailed any transfers of metals into and out of their accounts. The district court, however, found defendant had no inventory of metals to pass to retail customers. The court indicated actual delivery meant possession and control. This clarifies the CFTC’s issue of when “actual delivery” has transpired in the context of virtual currency. After a retail customer purchases virtual currency through an exchange, the actual commodity immediately passes into the customer’s account, but the exchange still maintains most of the control. As a result, the virtual currency is not within the retail customer’s actual possession. Therefore, adopting a rule that includes transactions where there is constructive delivery of the commodity, or virtual currency, into a retail customer’s account by the exchange would keep the transaction within CFTC oversight. (1) A customer having the ability to: (i) Take possession and control of the entire quantity of the commodity, whether it was purchased on margin, or using leverage, or any other financing arrangement, and (ii) use it freely in commerce (both within and away from any particular platform) no later than 28 days from the date of the transaction; and, (2) The offeror and counterparty seller (including any of their respective affiliates or other persons acting in concert with the offeror or counterparty seller on a similar basis) not retaining any interest in or control over any of the commodity purchased on margin, leverage, or other financing arrangement at the expiration of 28 days from the date of the transaction. Virtual currency deposits held by an exchange in a customer’s account should be deemed constructively delivered, just as deposits are treated in bank accounts, because, like a bank account, once the virtual currency is purchased, it is not immediately available to the buyer and is still under the control of a third-party. Constructive delivery, as it pertains to virtual currencies, parallels other commodities that are the subject of futures contracts because the underlying commodity in those contracts is not immediately available or controlled by the buyer. To further contrast constructive delivery and actual delivery in this space, many retailers, such as Amazon, sell virtual currency cold wallets that allow a buyer to directly transfer their coins to the wallet for security purposes. These devices give virtual currency owners total control over their coins, and therefore, can be considered actually delivered. The CFTC suggests shortening the period from twenty-eight days to two days, as it does for retail foreign currency transactions, but again, virtual currencies are different. Shortening the time period for actual delivery even to one day would be futile given the instantaneous delivery of the virtual currency to the wallet. Therefore, the adoption of “constructive delivery” would be the only way to assure that all virtual currencies transactions with attendant futures contract markets remain under the auspices of the CFTC. Virtual currencies and the underlying blockchain technology are here to stay, yet the exposure to financial and criminal risk is increasing as new currencies are invented. The SEC and the CFTC claim authority over virtual currencies, but in order to avoid any confusion in the marketplace and to prevent a chilling effect on innovation, Congress should create a new entity to oversee all virtual currency markets or one that will determine the nature of the virtual currency and its corresponding regulator. If there is a virtual currency with an initial coin offering, the new entity may rule it to be under the auspices of the SEC. If there is futures trading of a virtual currency, it would fall under the authority of the CFTC. Moreover, the underlying transactions should be treated as “constructively delivered,” bringing them within the regulatory purview of the CFTC. The creation of the new entity is not meant to overregulate the market, but to streamline the process of oversight and safeguard the public confidence in virtual currency trading.